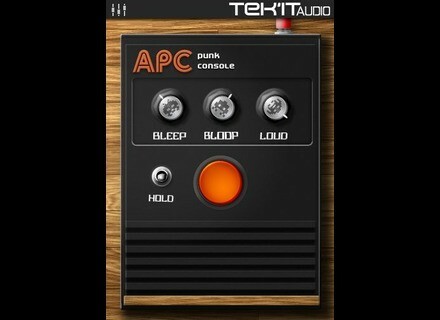 APC punk console, Virtual subtractive synth from Tek'it Audio. APC VST synthesizer update 1.3 is available now. APC is a square wave synthesizer designed to create "low-fi" sound, re-creation of a DIY circuit the Atari Punk Console. This update come with a revamped GUI, the zero-delay-feedback state variable filters used for the high-pass and low-pass mods, the key tracking mod to play different tones using your MIDI keyboard or sequencer and the possibility to sync the LFO on the BPM. 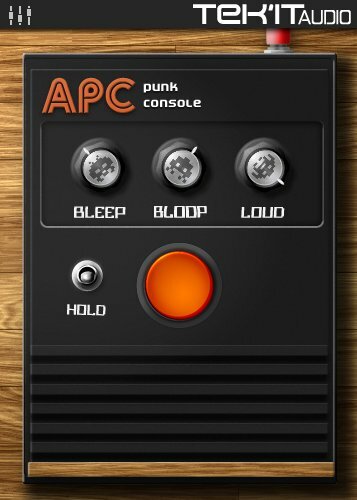 A new demo version of "APC punk console" is available to download as a VST plug-in for Windows. The full version is available to purchase as a VST instrument plug-in for Windows PC for only 15 EUR / 19 USD.